This suit has a big hit of colour but will still look the part for smart days thanks to its sharp cut and 3-piece design. It will create definition through your entire frame by sitting close to your body. 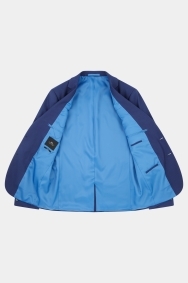 Understated features like notch lapels, a 2-button fastening and straight pockets make it well-suited to events for both work and play. 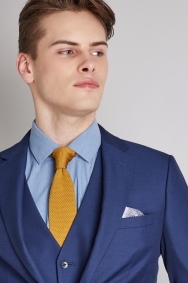 Choose either a blue or white shirt and add more colour with your tie. 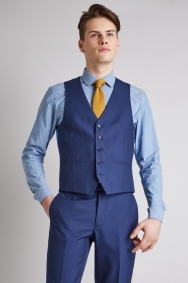 For a more relaxed look, leave your shirt open necked or go without the waistcoat. Beautiful suit for my hubby to be and his groomsmen ! 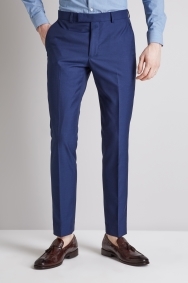 Nice fit and good price... material is good quality. Found quality and very helpful assistance...a joy to shop there ! Nice quality and a great fit. Excellent vfm. Bought as part of suit. We were really impressed to see that the 40R dinner and suit jackets fit my partner perfectly, no tailoring required. We were also impressed at the sale prices and quality. Great suit, top quality from moss bros. The envy of the office wearing this. Great quality and perfect fit as always. 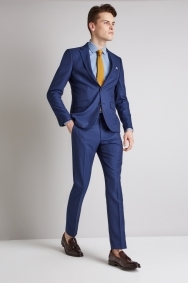 Very nice suit for my son- slim fit, nice colour and fabric, smart and modern. He loves it. 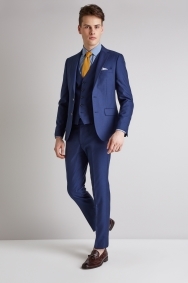 Excellent classy suit, made with too quality materials and looks amazingly. Fits perfect love the colour and happy with the price. 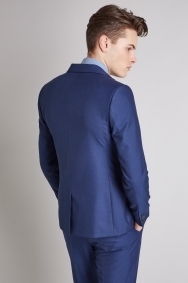 Bought for my son's prom in a few weeks time so not yet worn, but the suit and shirt fit perfectly. Fabric hangs beautifully, very well made and lined with stitching detail. Was a bit nervous going in as I am very awkward with sizes as I’m quite tall but lean, but the gentleman who served me got all the correct sizes and the suit fitted perfectly?? I was told shirt which comes with suit was free but my email receipt shows I paid £26.35 for it. Good quality suit. Great service, style advice and time spent to get the right one! Perfect fit with help form friendly Uxbridge staff. 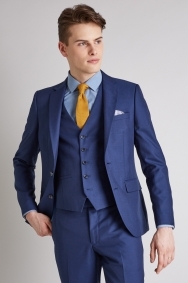 A lovely quality three piece prom suit at a very resonable price. Its a lovely shade of blue and looks really good on. My son chose a white shirt and burgundy tie which looks really good together with the blue. Once worn to his prom it can be used for other occasions..weddings, interviews etc . Products was excellent as all other Moss bors products. Lovely suit, really well made.